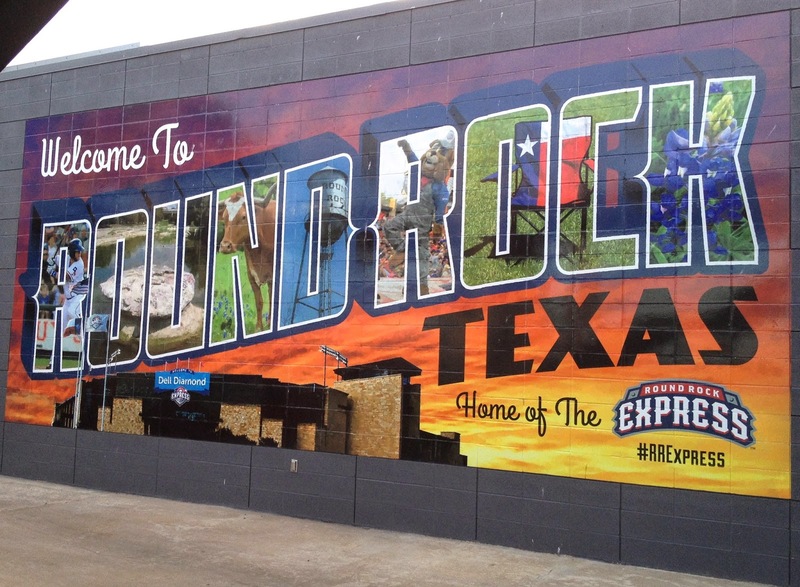 For a non-sporty mom like myself, I can't believe how much I love the Round Rock Express. 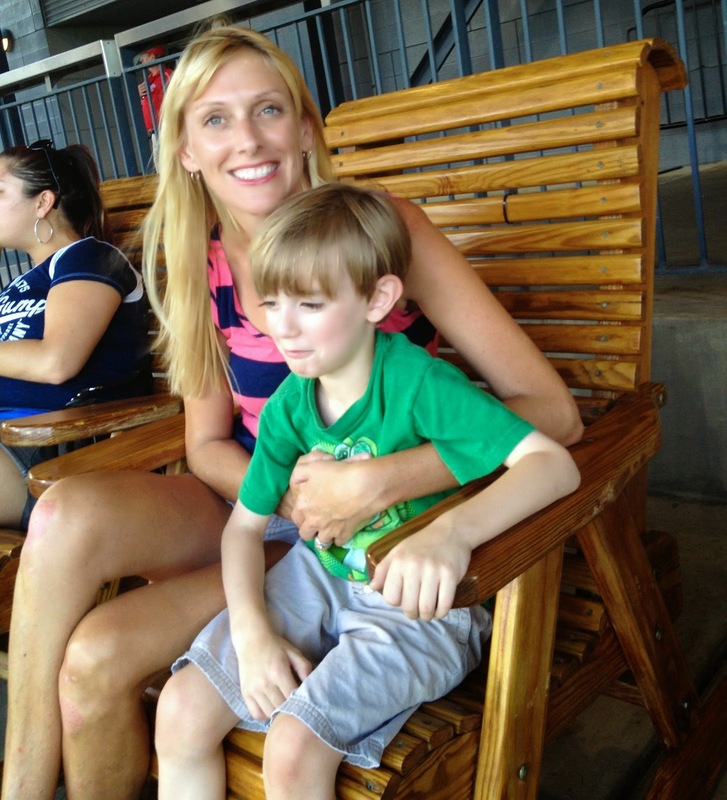 Going to baseball games at Dell Diamond in Round Rock, TX is always a terrific time for my whole family. I can't say that the kids really sit around long enough to watch a lot of the actual game every time we go, but there are so many fun activities at the ballpark that keep family members of all ages engaged and always eager to head out to the ballgame and root for the home team. You can either choose traditional ballpark stadium seats, or you can opt for the lowest price seating which is on the lawn. 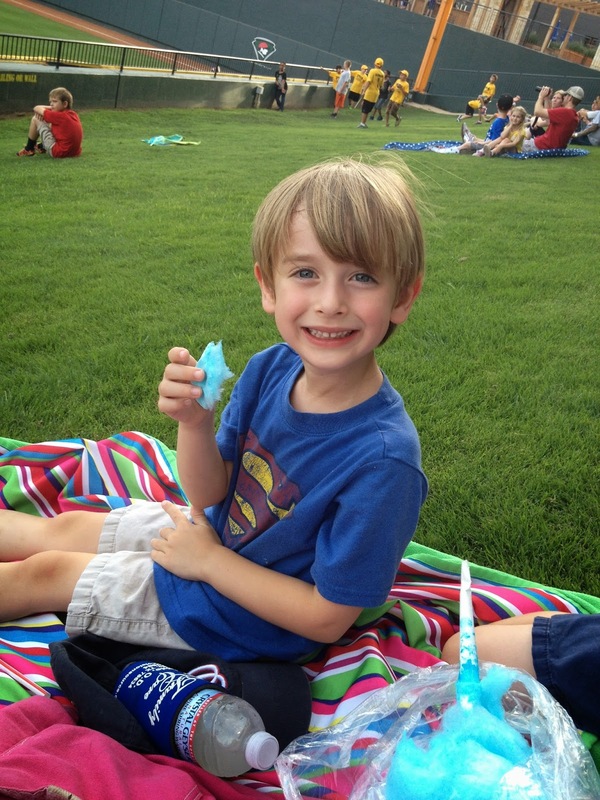 You can bring your own picnic blanket (no folding chairs allowed) and find your perfect spot in your choice of two grassy areas of the Dell Diamond. No matter when you go, you can count on seeing kids rolling down the grassy hills and running off lots of cotton candy-fueled energy. I love this family-friendly seating option since we tend to go back and forth to the playground so many times, and this way we aren't climbing over other spectators in the seats. Any place that includes a playground is tops in my book! The Fun Zone is located behind the right field berm lawn area and includes a playground and bouncy house that is FREE for kids ages 8 and under. For small fees, children can pay for activities such as the speed pitch, batting tee, rock climb wall, quad-bungee bounce. 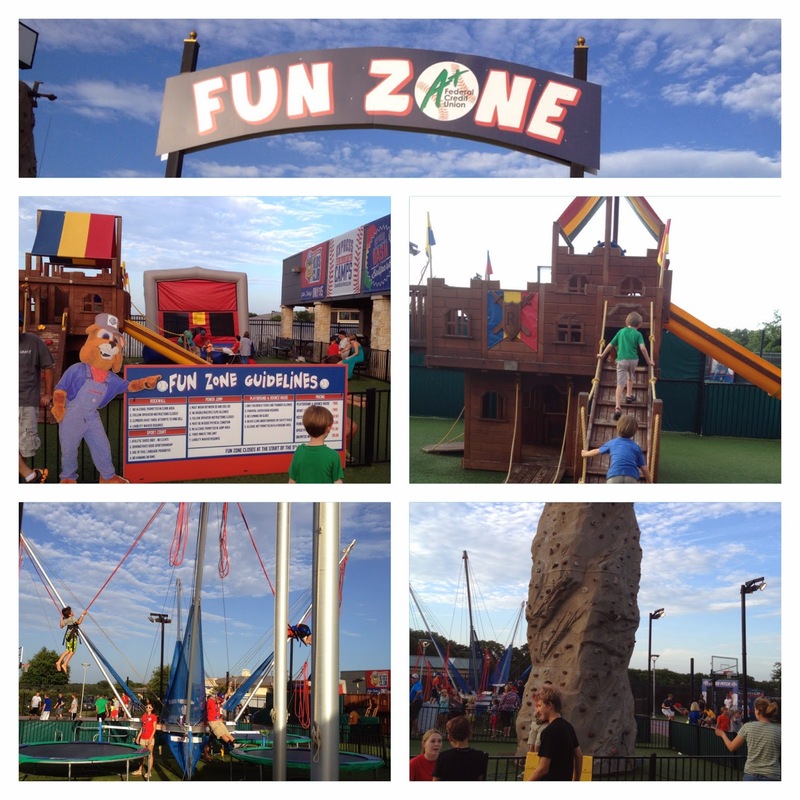 (A Fun Zone wristband may be purchased for $10/day that includes these activities.) This area also includes a basketball court for kids. And the Fun Zone stays open until the top of the 8th inning. There are so many options for making this a really inexpensive family outing. If we plan ahead and pick our tickets wisely, my family of 5 can go to the ballgame for less than it would cost us to go out to dinner. There are many seating options, but if you're looking for the most money-saving option, lawn seats are only $7 in advance (purchased either online or at the box office), $8 walk-up/day of, but also $1 off for seniors and children under age 12. All military personnel who present a military ID will receive half-price tickets. And children ages 2 and under are FREE! On Tuesdays, you can get half-price tickets on all seating options! So you can get an adult berm lawn ticket for only $3.50 on Tuesdays. On Wednesdays, you can take part in the canned food drive for the Capital Area Food Bank and bring in two H-E-B branded canned food items in exchange for a free lawn ticket! 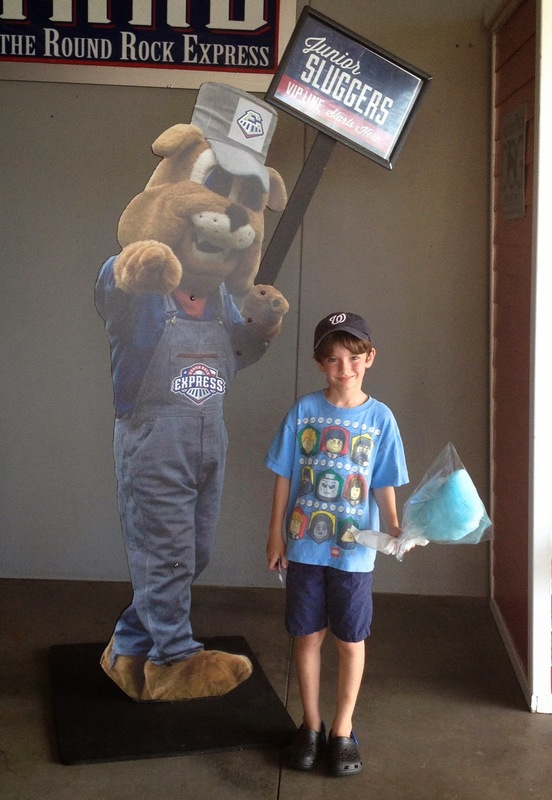 The Junior Sluggers Kids Club also offers great ways to save on tickets for children if you plan to go to several games throughout the season. And if you're looking to save money on concessions (which admittedly can add up), the Dell Diamond allows you to bring in your own small snack. The rules are pretty strict here, but the fact that they allow anything from outside of the park is really great. As stated on the Fan Guide section of their website, "Outside food and beverage is limited to one small clear bottle of water and one small single-serving packaged snack (i.e. fruit, trail mix, candy bar or chips) per person. No other food and beverage is permissible." "Buy me some peanuts and Cracker Jacks"... and cotton candy, and jumbo pretzels, and pizza, and locally sourced options from Jack Allen's Kitchen, and USA Today-noted grilled cheese dogs. Oh my! The options are endless. Because, really, what's a ballgame without a little (or big) snack? There are so many terrific promotions offered at the Dell Diamond that it can be hard to choose what day to go see a game. Sundays are always H-E-B Kids Day which includes kids giveaways with pre-game events outside the stadium and post-game run the bases (for ages 12 and under). Mondays you can get $1 hot dogs & sodas. Wednesdays currently offer special giveaways from Texas Lottery as well as a canned food drive for the Capital Area Food Bank. If you bring two H-E-B branded canned food items, you can receive a free lawn ticket. Thursdays offers discounted beer specials and $1 sodas. Fridays you can enjoy post-game fireworks. Saturday promotions vary each week, so check the schedule for info. Some nights offer music concerts and some have special giveaways. How cool would it be to go on a guided tour of the ballpark? I recently learned that this "behind the scenes" look into the pressbox, luxury suites and other exclusive areas of Dell Diamond is offered year-round. Tours are available Monday, Wednesday and Friday at three different time slots: 9:30 a.m., 10:00 a.m. and 10:30 a.m. During the season, tours are given when the Express are on the road. Make sure to check the Express schedule to find the date that works best for your group. Call (512) 238-2217 for more information or to schedule your tour. Tours are subject to availability and there is a $2 charge per person. You can have your birthday or anniversary listed on the scoreboard for FREE! 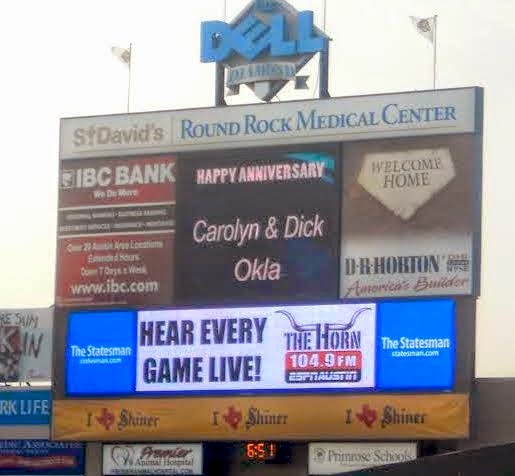 If you are interested in in doing that for a special occasion, you can send a nice e-mail request to wendy@rrexpress.com. Information is required 24 hours in advance. None of my boys have summer birthdays, but if we did I'd be eager to try out the Express birthday party packages. Parties are designed for 10 guests and includes a reserved area on the third base concourse, food, drinks, birthday cake, a special gift from the Express and all kids in the party get to run on the field with Spike (the mascot) during the middle of an inning. For birthday party information, call (512) 238-2258. 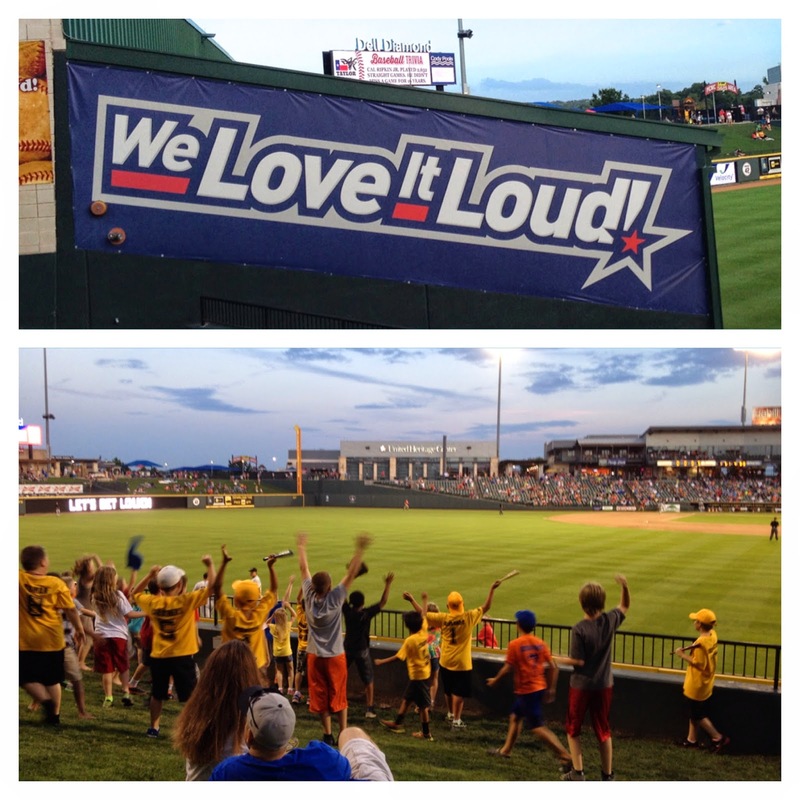 For schedules, ticket info, and details visit the Round Rock Express team website. Parking is $10 at Dell Diamond. Freelance web producer, Heidi Okla is mom to three boys (ages 4, 6, and 8), and can't pass up any opportunity for fun family adventures.